Depending on your flight, you will have the rest of the day to relax, or explore the surroundings. Inya Lake, the largest lake in Yangon is a short walk away, popular with locals taking a stroll after work. Begin the day with a private guided tour of Yangon's colonial architecture, including a stop at a traditional teashop for late morning refreshments. 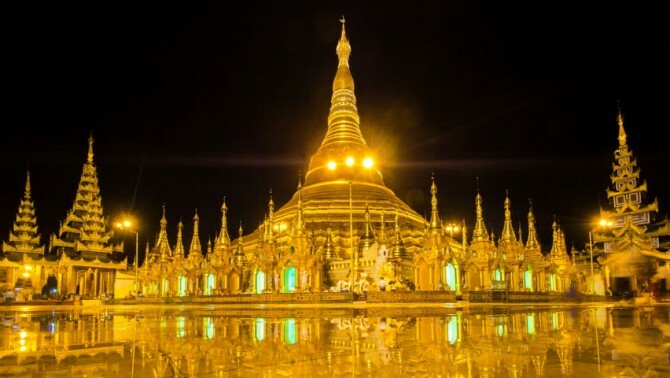 This afternoon visit the city's centrepiece, the Shwedagon Pagoda. Enjoy a stroll around this spiritual landmark and soak up the atmosphere at dusk as local families come to give offerings. Your private guide will be able to provide some insight into the ceremonies and traditions you might see. After some time back at your hotel to relax, you might like to end the day with a visit to Chinatown for a few beers on 19th Street. Be picked up from your hotel this morning by private transfer to the airport in time for your flight to Bagan. Your airport guide is on hand to assist you to catch the short flight. On arrival, you're met by your guide and private driver. 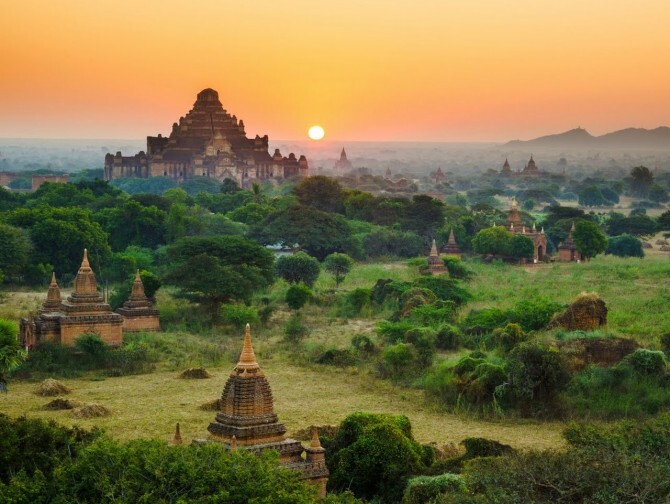 After checking in to your hotel and having time to relax, head out with your guide to explore Bagan's temples. Once the capital of the Kingdom of Pagan, Bagan has more than 2,000 temples and pagodas - only an estimated 20% of what was originally built. A huge temple site, your driver is on hand to take you between temples. 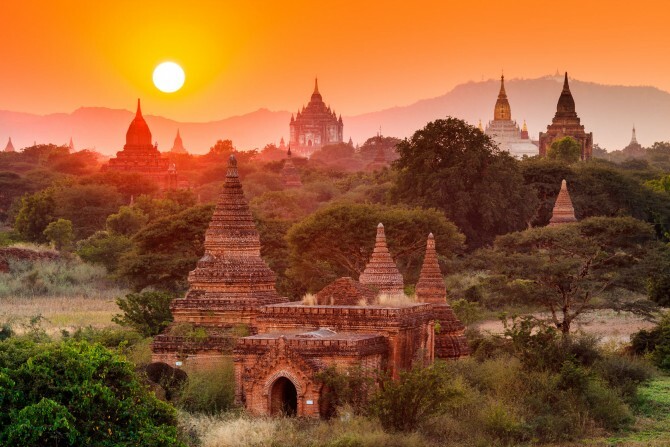 Today you are free to explore Bagan independently. You might like to hire bikes from your hotel to explore the temples independently, a good option on the relatively traffic free roads. For a slower method of travel, you can hire a horse and cart instead, but beware- they can be quite uncomfortable. This morning take a private transfer to the airport for your flight to Mandalay. On arrival you're met by your guide and private driver who accompany you to your hotel. After some time to relax, visit the ancient former capitals of Ava and Amarapura. Littered with temples and stupas, your guide can explain the fascinating history of the area as well as showing you the most impressive- as well as quirky- temples. Accessed by a variety of local boats and pony carts, you'll get the chance to try a few local methods of transport. 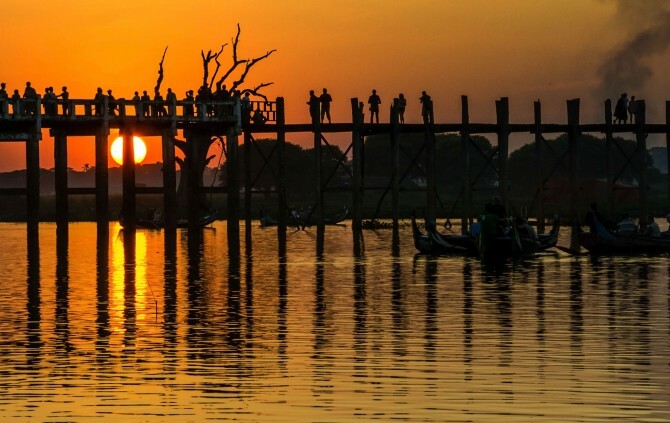 End your tour by watching sunset at the iconic U Bein's bridge. 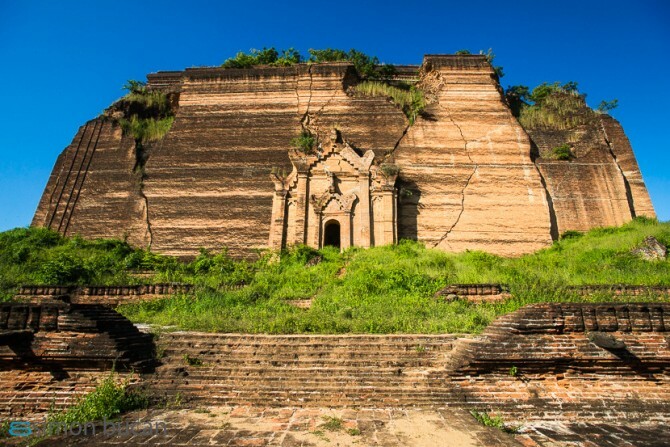 Mandalay has a surprising amount to offer for those who know where to find it. Take a private guided tour today which has been designed to reveal Mandalay from a diverse and interesting perspective. The itinerary today is quite flexible and your guide will design it so that you can see some of the more interesting areas whilst avoiding the main tourist traps. Late afternoon head out onto the river on your private boat and cruise upstream to Mingun where you will see the mighty unfinished stupa and stroll amongst the locals. Enjoy the sunset and views of river life on your cruise back to Mandalay. Leave Mandalay this morning and drive two hours through foothills to the former colonial hill station of Pyin Oo Lwin (Maymyo). Enjoy the highlights of this charming town, accompanied by a local guide. 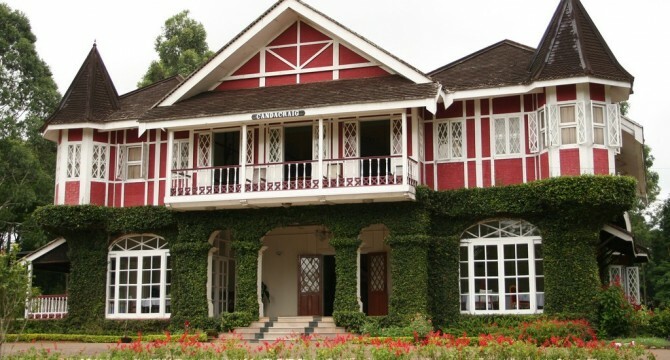 A former British colonial town, it has some unique architecture and gardens as well as lively local markets. Akin to British retreats in India, it's called a hill station- but is actually set on rather flat land. Return to Mandalay this evening in time for dinner at your hotel. This morning be picked up by a driver and guide to catch a short flight to Heho. On arrival you're met by your driver and guide and transferred to the charming town of Pindaya, a drive of around two hours. You might catch a glimpse of traditionally dressed farmers and buffalo carts along the way. On arrival in Pindaya, visit one of the nearby rural Danu villages for lunch, eating in a local house. Accompanied by a private guide, you can visit the local monastery and have the chance to meet the local Danu people, an ethnic group of the Shan people. Accompanied by a private guide, visit the Pindaya Caves this morning, famed in the region for the thousands of Buddha statues that fill the interior. After the visit leave Pindaya and travel back through the Shan plateau via the Red Mountain Vineyard. The drive takes about three hours and it's worth stopping for lunch at the vineyard along the way. Arrive on shores of Inle Lake to board a small boat to transfer you to your accommodation which is located further up the shore. Explore Inle Lake with your private guide today and visit the floating villages, markets and monasteries by private boat. The Indein Pagoda complex is a particular highlight, with hundreds of pagoda scattered around a central stupa. This afternoon take a private canoe trip with your guide to view the local villages as the sun sets over the lake. Fly back to Yangon today. You have use of a private guide to show you a little more of the city or enjoy a spot of shopping and dinner before your international flight departure this evening. Your return flight will arrive the same day.